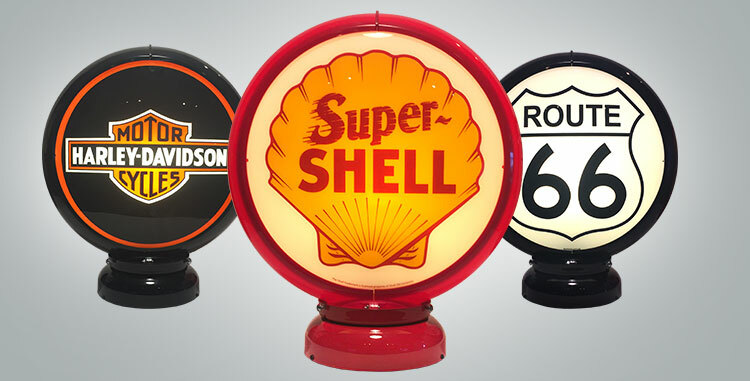 Gas pump globes with the well-known logo's to place on top of a gas pump. Glass lenses with plastic body. The globe is double-sided. Choose from different body colors. Choose the extra's like a ring for the pump or a base with light to use the globe as a decorative light.